My granny Martha knew how to do lots of things. She sewed my mother’s wedding dress and many of my childhood dresses, cross-stitched table cloths, crafted holiday decorations, tended a garden and cooked legendary potato soup. 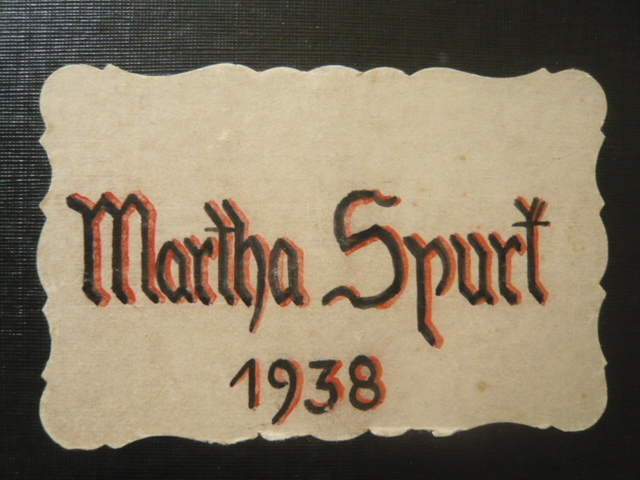 She married my grandfather Guido in 1939. The year before that, she attended a home economics course. 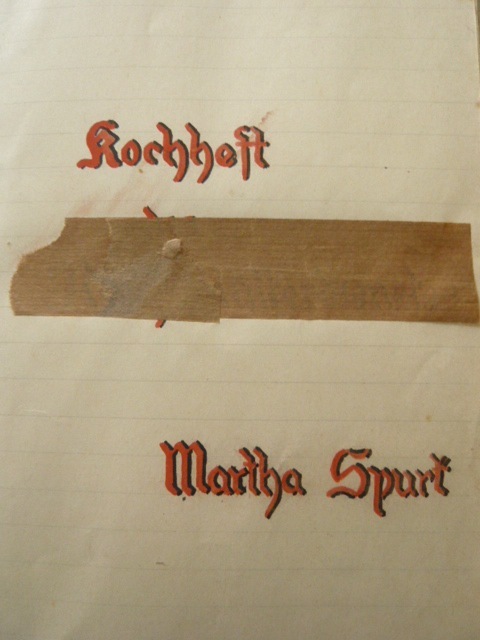 She wrote down the recipes she learned there in a notebook (her Kochheft), in the particular type of joined writing that was common in Germany at the time – Sütterlin writing. I mention this, because it is not easy to read, and in my family, my mother and myself are possibly the only ones that still can (or can be bothered). Now, I have my granny’s notebook, and I want to recreate the recipes – out of curiosity about what would have been on the curriculum in a 1938 home economics course in provincial Germany, but also to one day be able to share them with my cousins and their families. Since it is a notebook, and not a cookbook as such, the recipes are sometimes incomplete. She lists the ingredients but not the technique, or techniques that she obviously considered too common to explain. Some recipes also call for ingredients that are difficult to find nowadays (lung…). So I want to not only recreate the recipes as they are given, but in some cases also offer a modern version alongside the original.